When it comes to basic maintenance for your vehicle, many people don’t realize just how important the little things are. For example, routine oil changes are one of, if not the most important things you can do to ensure your vehicle’s longevity and engine’s health. Think of it this way; engine oil is to a car as blood is to the human body. It needs to be fresh, clean, and well circulated. Let’s take a car like the Nissan GT-R. When we at Velocity Factor have one at our facility for an oil service, we only use genuine Nissan / OEM Oil Filters. Additionally, we only use Mobil 1 Full Synthetic 0W-40 Oil. It’s clearly laid out in every GTR owner’s guide that: ”The VR38 engine with its plasma-sprayed bores was developed using this oil. NISSAN cannot ensure proper engine operation and durability if other synthetic oil is used. If Mobil1 (0W-40) is not available, Mobil 1 (10W-40) (100% synthetic) may be used; however, some performance loss may be noticed.” While most people never read through their owner’s manuals, we at Velocity Factor always do our research in order to determine that every vehicle is given the proper fluids, along with covering all other aspects of the vehicle’s maintenance in accordance with the manufacturer’s specifications. Within the oil service itself, the technicians at Velocity Factor always clean the engine bay, top off all additional fluids, and check the tires to ensure they’re all at the proper levels of inflation. We make sure the car is running perfectly and note anything that may be needed or warrant looking into so we can then inform our customer’s accordingly should that be the case. Velocity Factor takes these routine services as seriously as that of a custom fabricated turbo system, complete engine build, or the like. No job is rushed and every detail is covered. This is the way things should be done! We invite you to have Velocity Factor perform all of your regular services on your car along with any needed repairs. It’s the attention to detail that counts, and rest assured that they are all covered when your vehicle is serviced at Velocity Factor! 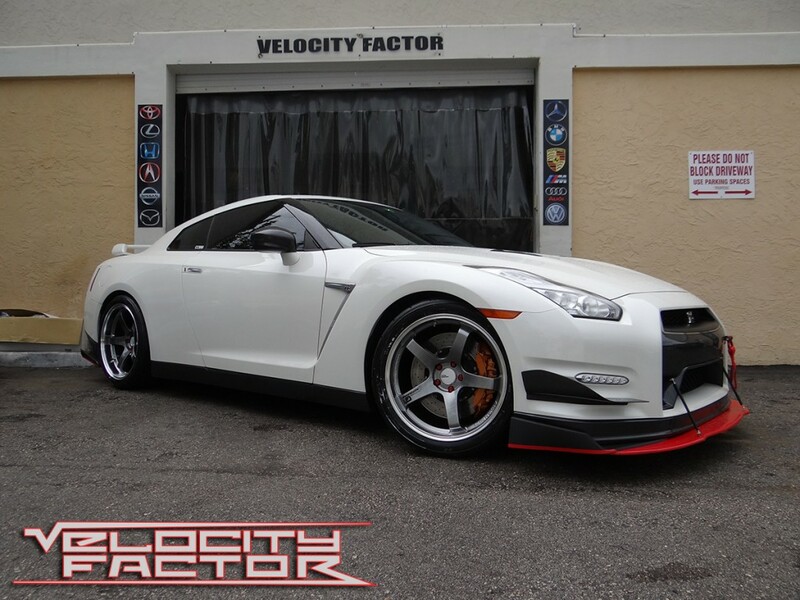 Feel free to stop by our facility located at 980 N. Dixie Highway in Boca Raton, Florida, call us at (561)-395-5700, or email us at: sales@velocityfactor.net to make your appointment. You’ll be happy you did, and the Velocity Factor staff looks forward to working with you.